The medicinal use of Tea began in ancient times in China and Japan. 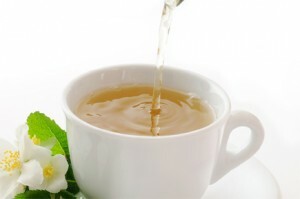 Tea was popular for two reasons: its wonderful taste and the health benefits it offers. It was commonly used for headaches, depression-like symptoms, boosting energy, and even to aid in improving eyesight. As the story goes, an emperor was presented with a cup of hot water that had turned brown from a leaf that had dropped into a pot of boiling water. He was pleased with the taste of it and from that point on, tea was born. Tea was also ground into a paste-like substance and was applied to reduce pain and inflammation. Health benefits of tea stand the test of time. It became popular with Buddhists as a means to stay awake for long periods of meditation. As the centuries came and went, tea evolved, but kept its medicinal purposes. Instead of drinking the tea to rid themselves of their ailments, our ancestors started to grind the leaves and boil them together with foods, like rice, ginger and milk. Tea was also reportedly used for things like normal aches and pains, digestion problems and as a means of boosting a body’s immune system to defend against a myriad of foreign bodies that enter us. It was an historic belief that tea also held religious properties that enabled those who drank it to elongate their life expectancy. Tea traveled to many different countries and its medicinal benefits came along with it.